In my post on non-dairy milks, I compared several non-dairy milks, and I would like to add some information from each company's site (or email responses) about the measures they take the prevent cross-contamination and/or the allergen information they have provided. I have allergies. How can I be sure your products are safe? Tempt and Living Harvest products are free of soy, gluten, tree-nuts, and dairy. They are also vegan, non-GMO and contain no trans fats or cholesterol. Our products are processed in facilities where there may be traces of peanuts and tree nuts. All of our suppliers have extensive and strict guidelines for cleaning and adhere to Good Manufacturing Practices (GMP) in order to help ensure that cross contamination does not occur. Is Silk Pure Coconut coconutmilk okay for people with wheat and gluten allergies? We do not make our products using wheat, wheat gluten, rye, oat, barley or malt ingredients. Our facilities do not handle or receive these ingredients in their operations so we would not expect the presence of them in our products. However, at this time we do not conduct the tests that would allow us to label our products as gluten-free. Anyone with severe allergies should always consult a doctor before introducing a new food. Can I drink Silk Pure Coconut coconutmilk products if I am allergic to dairy? All Silk Pure Coconut coconutmilk products are dairy-free, lactose-free and casein-free, and can be suitable for people with dairy allergies. A dairy allergy is an extreme sensitivity to the proteins in dairy products and should not be confused with lactose intolerance. Dairy allergies can range from mild indigestion to anaphylaxis, which is an acute reaction. Lactose intolerance is difficulty digesting the naturally occurring sugar in milk, which can cause stomach discomfort. We have extensive testing protocols in place at our facilities to detect and prevent contamination by dairy components. Anyone with severe allergies should always consult a doctor before introducing a new food. Can I drink Silk Pure Coconut coconutmilk products if I am lactose intolerant? Absolutely, because all Silk products are naturally lactose-free. Can people who are allergic to nuts other than coconut drink Silk Pure Coconut coconutmilk? We do not make our products using any other nuts. Because Silk Pure Coconut coconutmilk may be processed on equipment that also makes our Silk Pure Almond almondmilk, we have included a note on the label that it may contain almonds. Consumer safety is our highest priority. To help ensure against the risk of unintentional contamination, complete allergen cleanup procedures are standard in our facilities. We have testing protocols in place and we utilize hardware and software to prevent ingredient commingling. Anyone with severe allergies should always consult a doctor before introducing a new food. "The Hain Celestial Group's labeling declares major allergens (peanuts, soybeans, milk, eggs, fish, crustaceans, tree nuts, and wheat) and we follow the U.S. FDA's regulations. We recognize the serious nature of the allergen issue and we strive to minimize risk. Both major and minor ingredients of all products, as well as all processing procedures and equipment, are closely scrutinized and all potential allergen issues as determined by the Hain Celestial Group are declared on our labeling. We assure you that strict manufacturing processes and procedures are in place and that all of our manufacturing facilities follow rigid allergen control programs that include staff training, segregation of allergen ingredients, production scheduling, and thorough cleaning and sanitation." 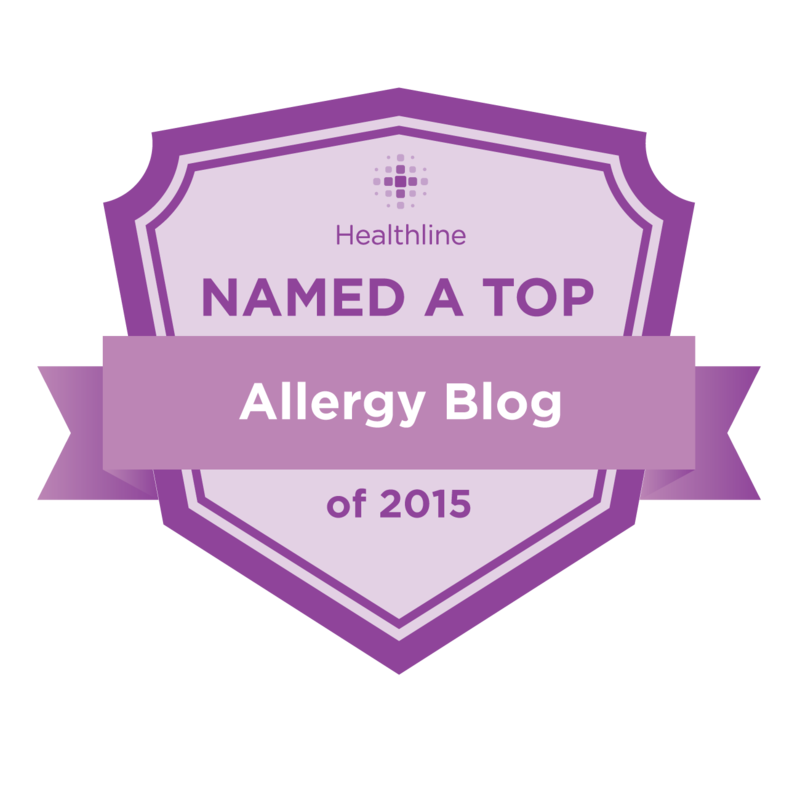 However, I also found this post from OneSpot Allergy that you might want to read. Does Almond Breeze® contain any dairy ingredients? No. All Almond Breeze products are dairy-free. They do not contain lactose or casein. Does Almond Breeze® contain any soy? No. All Almond Breeze products are soy-free. They do not contain soy ingredient. Does Almond Breeze® contain any eggs? No, Almond Breeze does not contain any egg ingredients. Does Almond Breeze® contain any peanuts? No, Almond Breeze does not contain peanuts. Is Almond Breeze® made in a peanut free plant? Yes, Almond Breeze is made in a peanut free plant. Does Almond Breeze® contain wheat or gluten? No. Almond Breeze products are wheat and gluten free. 1. Complete CIP / clean prior to beginning start up on dairy free production. Cross contamination is extremely unlikely, and has not been an issue at our points of production. Q: Do your products contain peanuts, eggs, tree nuts, soy, dairy, corn, shellfish, wheat or gluten? A: Pacific Natural Foods does not produce anything with peanuts, eggs, or shellfish. We do produce many gluten-free, soy-free, corn-free, tree nut-free, and dairy-free products. Please see our product guide for a complete listing of products and the allergen information for each. A: Pacific Natural Foods does not produce products with eggs, sesame, shellfish, or peanuts in our facility. We do produce products containing dairy, soy, tree nuts, and corn. Every 24 hours, production shuts down for a total cleaning and sterilization of all equipment. Complete cleaning and sterilization is also performed between runs of dairy and non-dairy items. AS ALWAYS, REMEMBER TO READ THE LABEL EVERY TIME, AS INGREDIENTS MAY CHANGE AT ANY TIME. This information is provided for reference purposes only.